It seems that this season all that glitters isn’t gold. Designers and the high street have been falling over themselves to drape us not in the usual gold, but metallic silver. 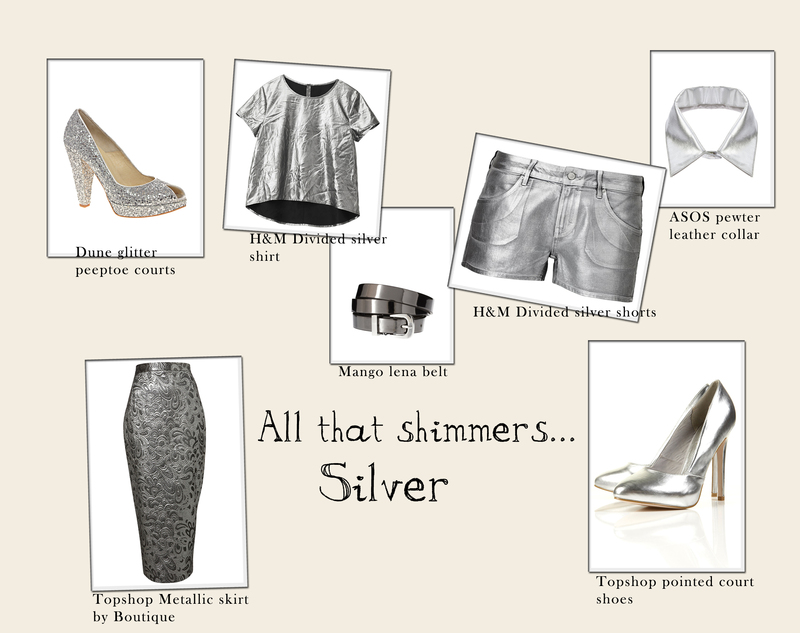 Whether it’s silver lamé, sequined, woven or embellished, the aim for this season is to shimmer like a disco ball. I’ve selected a few of my favourite pieces from the high street as who needs designer when these babies are a fraction of the price. Tomorrow I’ll be posting my ‘Look of the Day’ which is my own take on the metallic trend.